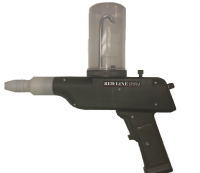 For those looking for a full 100 Kv powder coating gun, the EZ100 might just be the perfect fit. 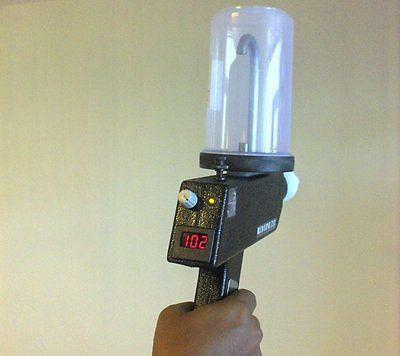 Designed with most of the features of a commercial powder coating machines costing thousand more, the EZ100 puts a full 100 KV of first pass coating power in your hand. 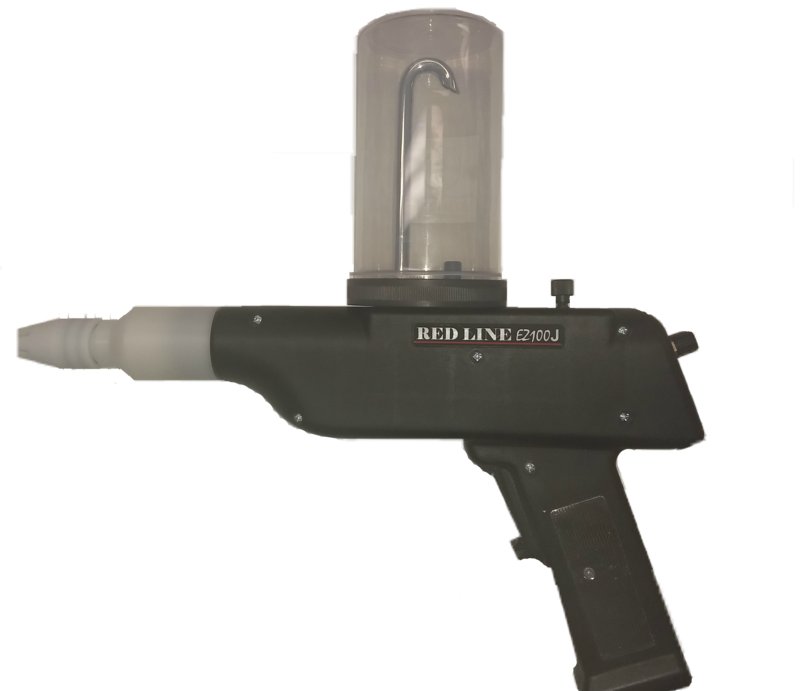 Just like its sister gun, the Redline EZ50, the EZ100 has a unique all-in-one design that makes powder coating and color changes fast and easy. Whether you use it as your primary gun or as a backup or touchup gun, the EZ100 can handle all types of materials and powders. Boosting a full 100 Kv the EZ100 is adjustable from 20Kv to 100 Kv giving it the powder to coat small and large jobs flawlessly and perform multiple re-coats with ease. Enjoy years of carefree powder coating with the EZ100 without having to mess with foot pedals, hand switches, and messy hoppers.